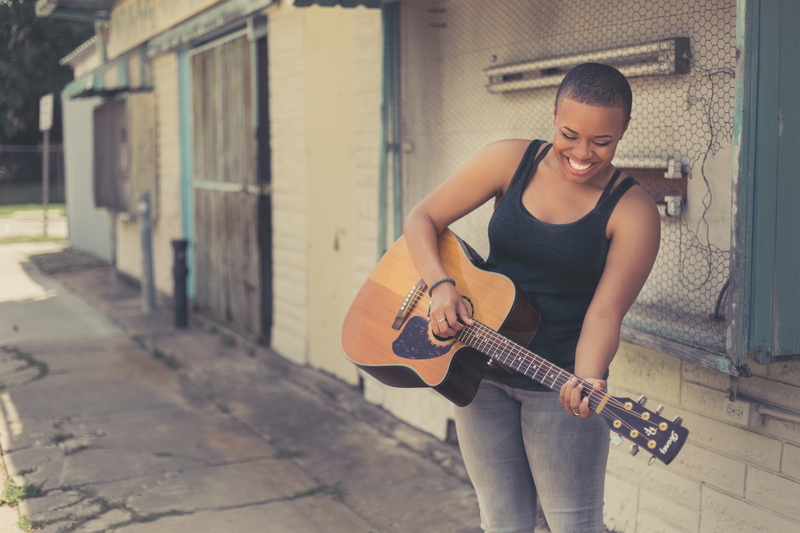 HOUSTON, TX – I had the distinct honor of interviewing singer/songwriter/multi-instrumentalist Shameka Dwight. She tells me about her singles “Lifeline” and her first collaboration called “One.” She also tells me about the importance of having a healthy core of people in the music industry. AMN: Tell me about Lifeline. SD: I was sitting at my keyboard and was in that place of needing help. There was so much going on in the news, media and even my relationships. Often times people just do life, and you’re so focused on doing life that you don’t notice the life around you. People are silently suffering. The subject matter is that this person is connected to other people, but everyone is so buried in their own lives that they don’t notice the person drowning. It’s a call to provoke us to be more in tune with another, to be more engaged with other people, to help when we can, and to be present. I think a lot of us are distracted. Whatever we’re dealing with is a distraction from life. AMN: Tell me about “One” and Chad Chambers. SD: Chad is an awesome writer as well. We planned on writing together for a while before we got to that song. We had an idea of something we wanted to write. We got together and started flowing about some different things and it evolved into that. We play on the word “one” throughout the whole song. We vibed on the song for a few days and it just felt right. We recorded it, I did most of the production, we really wanted to tell the story of God’s love in the simplest way. It just comes back to His love for us and the cross. I thought it was a good collaboration. AMN: The song “You Are Good.” I love that song. Will it be on the next record? SD: It will be on the next record. I had it floating around for a while, and I didn’t think to record it. But I talked to a few people and I think it would be great to record it and put it out so I can share it. It’s definitely going to be on the next record. The next record will be an EP, a sample of this and that, so it will be great. AMN: How long is the wait? SD: Definitely this year. Thinking late fall. AMN: What is your song creation process? SD: I’m a very emotional writer. If something is heavy on my heart, that’s when I go to write. I get on my instrument and freestyle for a minute to get in the zone and then the song will come from there. If I like what melodies and words come from flowing, then I’ll go back and clean it up. AMN: Is the song creation process longer, shorter, or depends? SD: It depends. Songs like “Start Again” took five minutes to write. I was literally sitting there and singing/playing “I think I’ll start again.” Songs like “Roses” took about three days to finish. I think it just depends on what the song is and how elaborate it is. If I want to craft something with more interesting melodies and chords it will take longer. AMN: What has been the longest song for you to craft and why? SD: I would say “Roses” because I was used to writing songs in a day. At one point I didn’t know what to do with it, but I didn’t want to let it go. I was in a rehearsal, and we were playing around with the chorus, and the band wasn’t feeling it. It took me a while to get it together. Also “One” took a minute and that was my first time collaborating with another writer. Being okay with their thoughts and where they wanted to go. That song took around two sessions to write. Those two took a while, but I’m grateful. AMN: It’s interesting that “One” is your first collaboration. What do you feel you’ve learned about yourself collaborating with someone else? SD: It’s a struggle with creative people. Sometimes you want things the way YOU want it, and it may not be the best. Or, someone may have ideas that you wouldn’t typically go with or thought of on your own. In that moment, the struggle was to let go of myself and what I wanted, and the better good of the song versus my feelings. Now when I’m writing, I’m a bit more open. Knowing what I want to say and say it, but how to work with the minds of people and how they say things. The song being the focus and the most important thing instead of my feelings and credits. AMN: Who are your strongest musical influences? SD: How many do I get? AMN: How much you feel like answering! SD: Everybody! Sike, wait… I would say: Sam Cooke, Richard Smallwood, Robert Glasper, Joni Mitchell, India.Arie, Sara Barailles, and I’ll stop right there. I listen to a little bit of everything and I appreciate music. Depending on what mood I’m in I may get on something else. Every song I hear has the possibility to influence me, because it becomes a part of who you are. There are some songs i’ve heard only once, and they inspire me to write in a different way. Anything is influential, but those are the people I actually study to challenge me to do better. AMN: Top 3 people you would like to collaborate with? SD: Sara Bareilles definitely, Adele, and one person that I loved, he’s no longer with us but Andrae Crouch. AMN: What do you think those collaborations would sound like? SD: I think it would just be a high spirited, honest, organic sound. I love the way they approach music. It’s so simple, it’s complex if you really listen to it, but it’s so simple. I think it would challenge me as an artist, but I love the organic-ness that comes with their approach. I would love for it to be a little bit of us both, but good solid, simple music, with a simple message, that feels good. AMN: I have a special request. I would love for you and Chantae Cann to collaborate. SD: Awww, she’s my friend! AMN: THAT being said, is there a collaboration in the future between you two?? SD: We have not discussed a collaboration, but who knows. Who knows what’s gonna happen. How did you come to the place of knowing you who you are as an artist? SD: The challenge is to not compare yourself to other people. When a group of listeners attaches to one sound, and you’re not included, the challenge becomes “where do I fit.” It was a struggle to be okay to sing the way I sing, writing the way I write, producing the way I produce, and presenting the way I present. Sometimes, when you’re not like everything else, if you’re a different type of artist, sometimes people don’t know how to do with it, and may mishandle it occasionally. The challenge is to be okay with who you are. Don’t change who you are to fit the masses, because eventually it will be your turn. Being 100% secure in your gift and how He gave it to you, and allowing Him to flourish it. There’s so many amazing instrumentalists, writers and vocalists, but there’s still a space for me. There’s a space for everyone that has something to offer. Whether you’ve touch ten people or ten thousand, you’ve touched somebody. AMN: It’s a lot to be said that you write and produce the bulk of your music. Is it a struggle to be your own writer/producer as a female in the industry? SD: I wouldn’t say that’s been a struggle from the outside, but it’s been an internal struggle of knowing that I belong. Others have really received it well. I think they receive it like anyone else. “What does this song say?” It’s all about relationships in the industry. The challenging thing is to develop relationships with men in a nice and safe way. A lot of the things that I felt were more internal. Making sure that I belonged and that I was okay. AMN: What would you say to artists/musicians, etc. who want to do what you’re doing? I’ve been blessed to have a strong core of people who support me. Who turn my negative thoughts to positive. I think it’s really important to be surrounded by people who believe in you. People who are honest with you, but to have your back at all times. I think that helped much more than anything else. Once you get over the internal stuff, the sky’s the limit, you can do whatever, you just need to get over yourself. Marcellus Coleman is a California native who moved to Oklahoma in 2011 to attend Victory School of Leadership and began taking courses at Southwestern Christian University, majoring in Christian Leadership. Composing since 2005, Coleman has continued to pursue arranging, recording, and performing original compositions at university, churches, coffee shops, and other various events. Coleman hopes to one day be a creative lobbyist, bringing together all variations of musical talent, propelling new artists into the public's eye. « Positive Disturbance Album Review: Chasing Distance, or Success? Enter your email address to follow Anchor Music and receive notifications of new posts by email.